Filed to: Remember when he used to post his inner-most thoughts? Now he just eats!Filed to: Remember when he used to post his inner-most thoughts? Now he just eats! 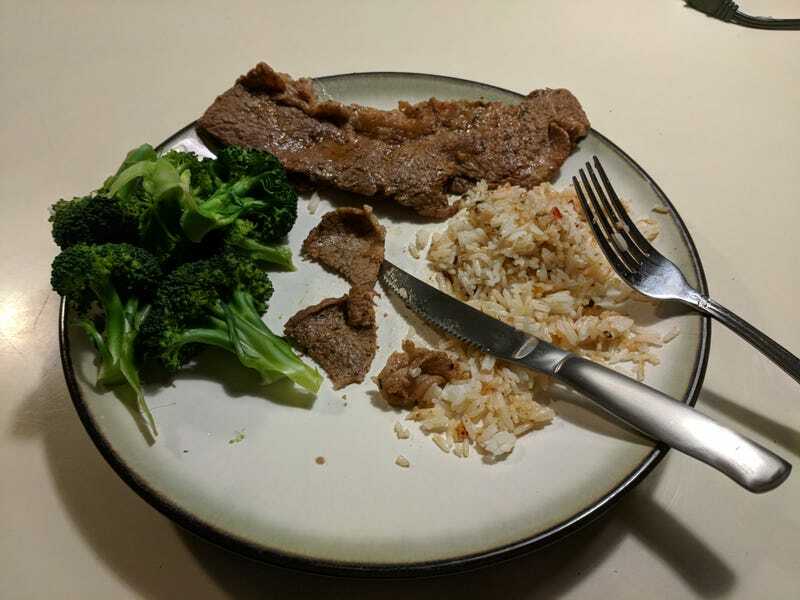 I done seent carne asada (which I overcooked), broccoli (which was steamed for the appropriate amount of time), and some rice with some fixin’s and a little sweet chili sauce.